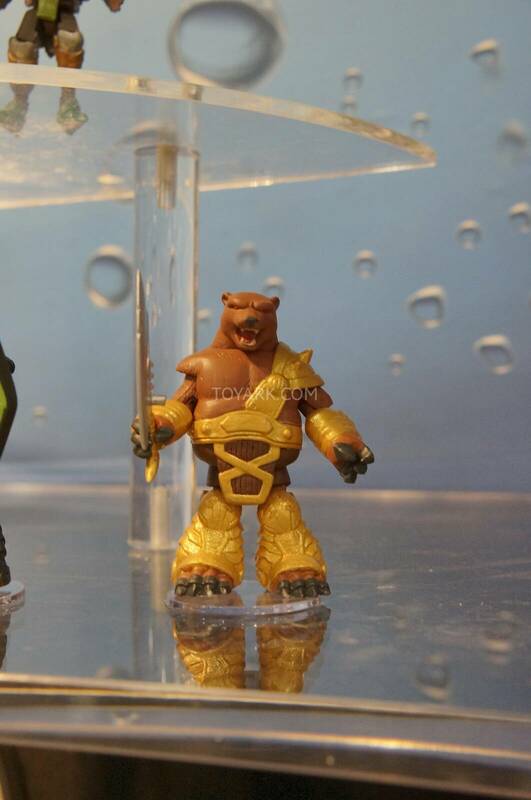 Diamond Select Toys has released some promotional information for series 2 of their Battle Beast minimates line. Honestly, i am liking this series much more that the first series, which I still liked quite a bit barring a few hiccups here and there. The series feels more in line with anthropamorphic animal warriors, and doesn't try to over extend itself in the designs. I also appreciate that they removed the one human figure they had planned for series 2, instead favoring only animal warriors in the line, which should help. Interests:M.U.S.C.L.E., Battle Beasts, Army Ants, The Real Ghostbusters, and most movies/music/games from the 80s. I like every figure from this series 2. Will definitely keep an eye out this summer. Much better in design and color all around. I've seen series 1 but never really paid much attention to them. Something about the look of them. I didn't even know they were associated with the actual BB line. But these still look better in design imo than the first. I like the Takara line also, but have yet to find any for a decent price. @Rubberhammer: I've never liked minimates either but these look different to me than the standard minimate I typically see for some reason. Here's my thought on the series overall. Very, very pleasantly surprised to see the Giraffe in series 2. We saw control art for him back at C2E2 last year, and while giraffes are not my favorite animal, he was one of my favorite beasts shown. He had such a great feel and charm to him that I really liked. 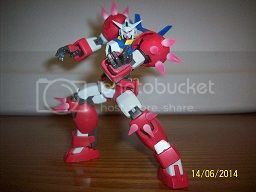 The armor has a little bit more of a classic Battle beast feel to me compared to the other minimate Battle Beasts. 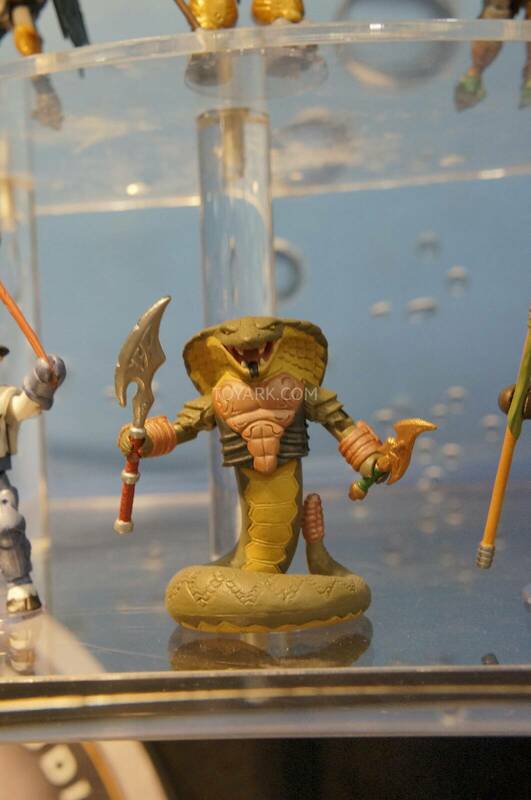 I am loving that Cobra. Really nice, clean design that builds quite nicely off of the rattlesnake we got in series 1. The sculpting on the face has a great, evil cobra look to it. And that chest plate armor has a fantastic, serpent/organic styling to it. I am happy to see that he made it into the series. 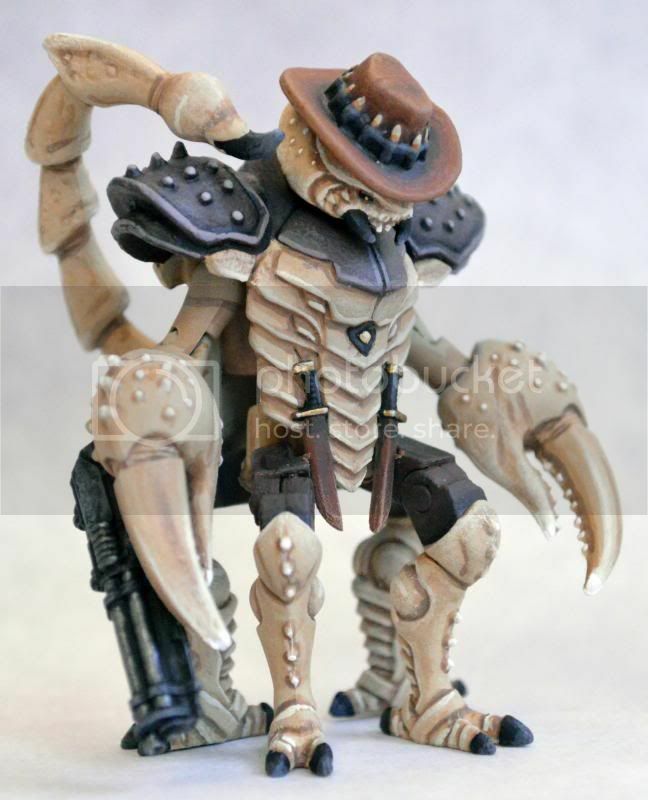 I can't wait to get one of these guys in to lead my squad of rattlesnakes. The cow, oh man the cow. I think he looks great. Much better than I was expecting out of a Cow action figure. 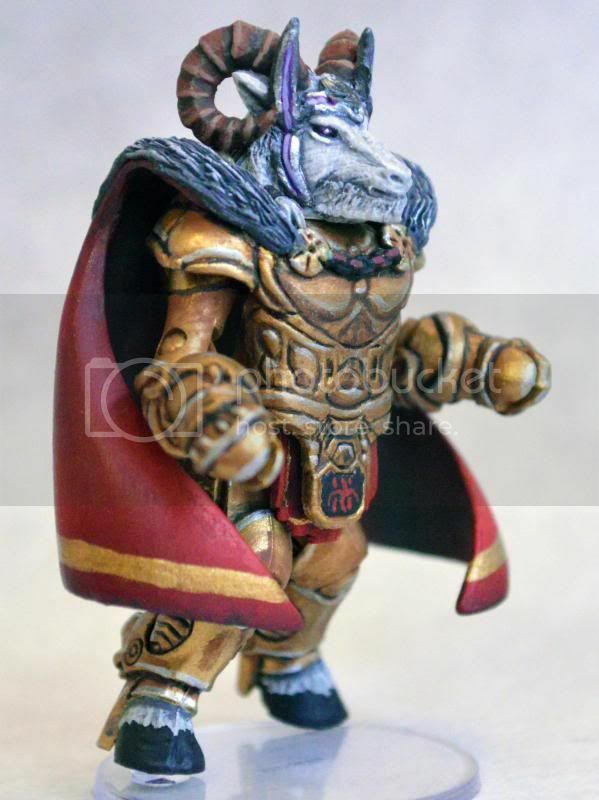 The color scheme and paint job on him are really nicely done. He doesn't have a weapon pictured in this article, but I really hope that he still has the pitchfork weapon that we saw in the control art. There's just that bit of charm and whimsy that was always present in the original battle beasts, and I like how the cow and the giraffe have started to capture a bit of that charm. My only little complaint, as someone already mentioned, I wish the strap/buckle on the chest piece was a sculpted piece instead of an entirely printed piece. I could be wrong, but I thought I remember from the control art that it was originally going to be just a standard minimate body with a tampo, not even a bulked up chest piece. But maybe I am wrong. But the bulked up chest piece is better than just the standard torso. Also, I will be getting two of these. One to sculpt on a bell around his neck. He won't seem complete without it. The bear is really nicely done. I like the resemblance you were able to get to his comic book appearance. The figure has some nice girth to him that matches a larger animal. He seems like he will be a nice, heavy figure for that size. The hammerhead shark is great. He's thicker than I was imagining, but now getting clearer pictures of him, I think it works well. The face has tons of personality sculpted in. 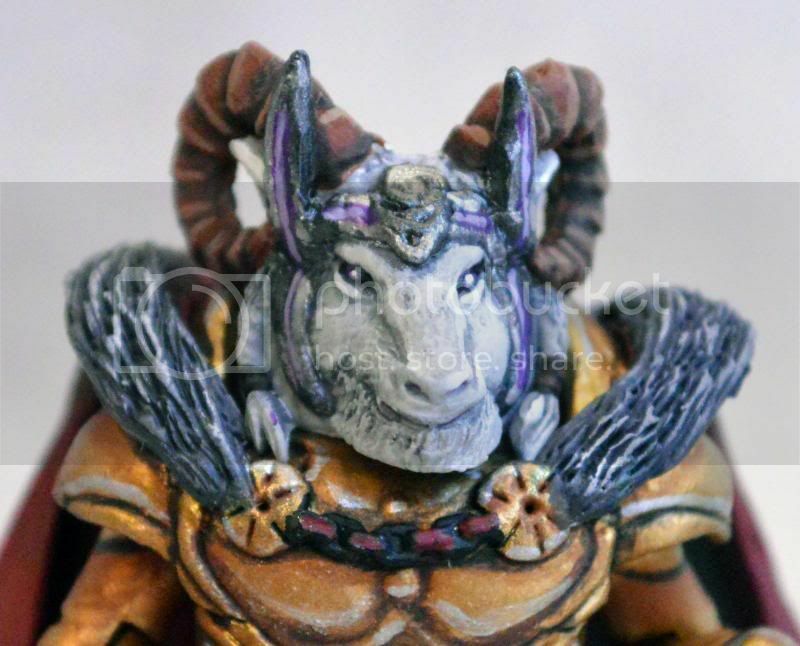 The mouth on him is perhaps a little bit goofy, but there is a lot about the original battle beasts that had a litle bit of a goofy element to it. 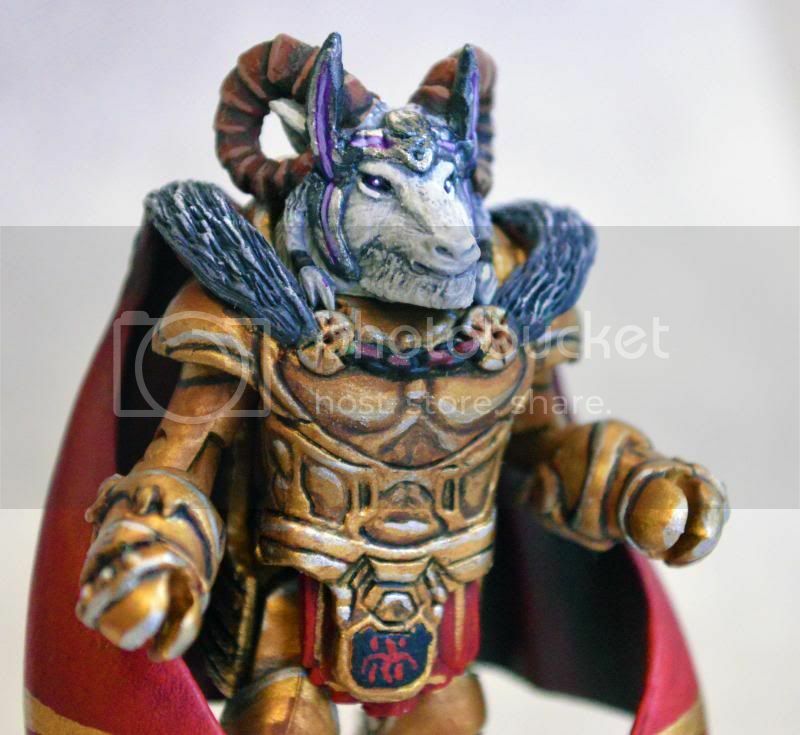 The Anubis figure is looking really nice, although for my tastes, I will have to have a second copy of him to armor up fully to fit my personal tastes. The bat is a nice figure. The bat is a nice re-release of a great figure from series 1. And I really like the new black and grey color scheme on him. The robin is the only figure in this series that I am not completely sold on. I get the references to Robin from Batman, however I am not sure if it translates well to a battle beast minimate. I am certainly excited to see splashes of color on the figure, but the green claws and feet feel a bit odd, and the chest armor feels a bit too smooth and basic compared to all the incredible detail found in the other battle beast armors. Personally, I would rather have seen the Cheetah stay, and the robin get cut. For me, that would have made this series 2 near perfection. That brings up the two figures that are now missing that we saw at SDCC last year. I am really sad to see that the Cheetah was removed from this series. Granted the only pictures I saw of the figure were control art and blurry pics from SDCC, but from what I could see of him, he had a really great design to him. The other figure we lost was the human. I forget what his name was, but he was Bliss's boss that wields the dread weapons. Honestly, I am really glad they removed him. I could understand why Bliss and Tate were made for the LCS series 1, but moving forward, I really think that the line needs to be animal warriors through and through. Any humans would detract from the appeal of the line in my opinion. I think DST has done a really nice job utilizing previous pieces from series 1 and combining it with new sculpted pieces to come up with a great variety of characters here. I can spot of lot of pieces from gruntos, vorin, merk, the snake, etc... But at the same time, they all tie in very nicely with the new pieces, that you really have to look for them to notice them. I completely understand why pieces have to be resued. It happens all the time in toylines, even the big toylines like Transformers and GI Joe. However, I feel like they were utilized in clever ways. Vorin's legs work well for the cows legs. Gruntos' legs and hands belnds nicely with the new bear torso to create the bear figure. The only figure that was completely recycled was the bat, but he was pretty hard to find. I never saw him in the couple TRUs around me. I ended up having to order him online off of ebay I believe. I liked series 1 quite a bit, but I am liking this series much more. I think they may have over-reached a touch with their designs in series 1. The spider and scorpion look neat at times, but they were over ambitious for a small figure and started to veer away from the anthropomorphic feel of battle beasts. 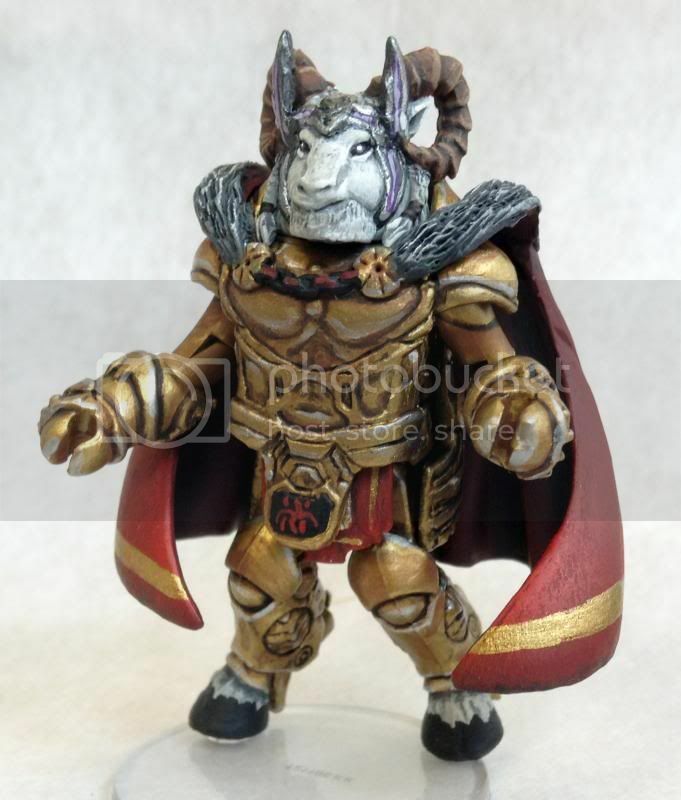 But this series is starting to strike a nice balance between the simplicity of a minimate form, and the nice sculpting of the animal warrior pieces. I think that this series is much more cohesive and successful in creating a line of animal warrior minimates. 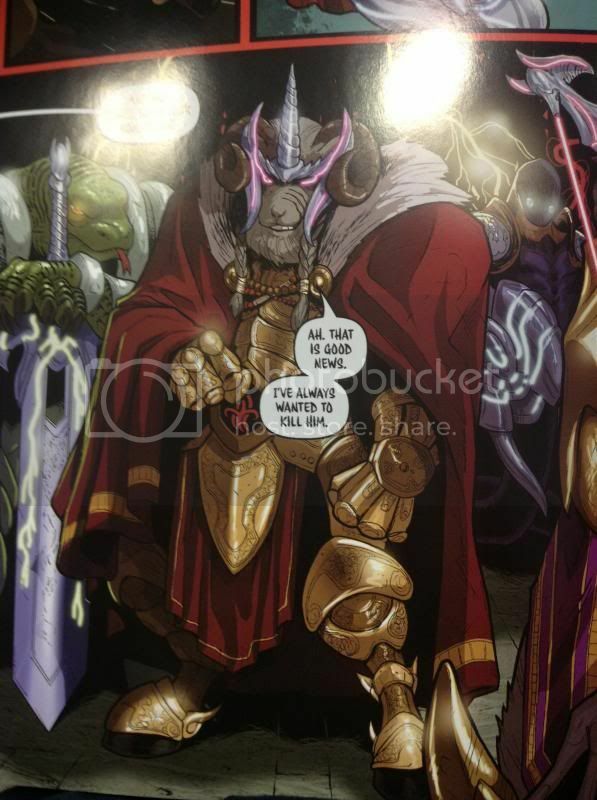 If there is one critique that I would have for the series, it's that I feel like the color schemes of the Battle Beast armors are relying too much of metallics/golds and neutral colors. I think a line like this, with so much sculpted detail, needs to pop when displayed in package to catch potential customers. Bring in more colors. Blues, reds, yellows, greens, purples, all have great potential for armor colors. Right away, visually, the cow is the most successful figure in this series, and a major part of that is the nice, baby blue armor his has. When you look at that blue armor contrasting against the golds/browns/greys, he just really stands out and leaps forward at you. That's probably the reason why he was positioned front and center for the promo shot. I would love to see more color schemes with great color contrast to really help these figures stand out. Overall, I am liking these more than series 1. It's a more consistant batch of figures. I am especially excited by the Giraffe, Cow, Cobra and Bear. I love Syfi Armor you can't go wrong with that but not fully dressed like people like your wolf dressed like a butler. 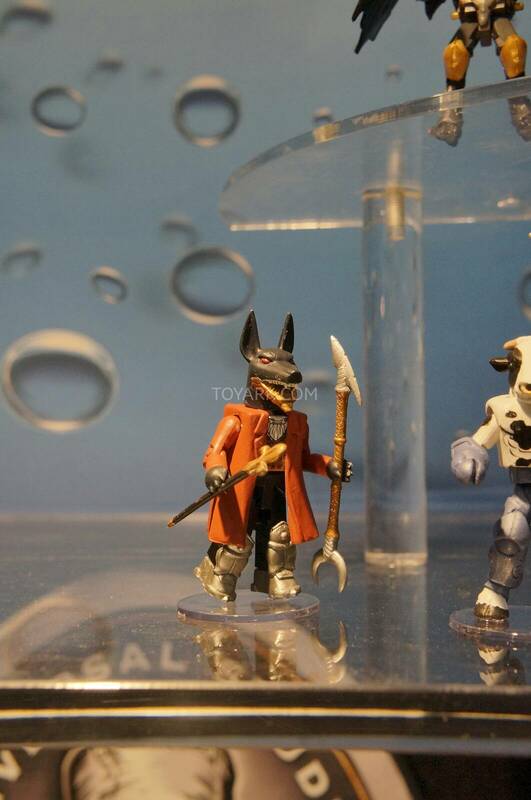 Anubis, the Jackel that is dressed in human clothes has a very specific part in the storyline that DST/IDW comics created for these figures. In the comic, all the beasts had just arrived on Earth after some extremely powerful artifacts, called the Dread weapons, had been activated here. It sent off a beacon that drew in all the beasts. But as the story went on, it turned out that there were a select few powerful beasts that knew these artifacts were here. And this jackel, Anubis, had already been here on Earth for a long time, watching over these artifacts. Hence why he had begun to adopt more human like qualities and clothes in contrast to all the other beasts that had never been on the planet. The bear and the cow are also in the story, although the cow is a background character, and the bear is a secondary character that I don't think has many lines, if any at all, but he has a pretty amazing fight in the comic. In this wave, Anubis is actually the biggest character with regards to the story. However, I still want to see him in full armor. I understand why they made the figure the way he is, because that's how he appears in the comics. However, I may have to change him up a bit, and find suitible armor for him. In the comics, he has a set of dread weapon boots, and his "associates" that visit him towards the end of the comic have their own dread weapons. I am going to find a way to make him fully armored, representing him as having a full suit of dread weapon armor. I do like the coat, but I don't know how much I'll be able to keep it along side full armor. So far, I actually like the story they gave them in the comic book. While it's not the Beastformers/Battle Beast storyline, to be honest, I had no idea about any of that storyline when I was a kid. I don't think there was any sort of storyline/cards/profiles for any of the beasts in the USA release of the line. There was the Blackthorne comic, which has a completely different story than the beastformers stuff. So the Japanese beastformers story and profiles never figured in to my own story that I created when I was a kid. I only found out about this storyline 20 years later as an adult. These are all just different, alternate stories to use for these figures, none of which line up for my own storyline for the original beasts. So I can't really fault DST for wanting to do their own, new storyline. And as is, it's a pretty decent, entertaining story, however I would like to see it expanded more. it really hit a stride towards the end, introducing what seems like some pretty big characters. And while it's a new storyline for these new "Battle Beasts" the style of story definitely has an 80's/early 90's feel to me. The whole idea of alien creatures/warriors coming to modern day earth because of one reason or another, and bringing their war with them, forcing humans to get involved in one way or another. Very Transformers-esque, which I don't mind. Now, i'm not creating excuses for DST. Some are going to like the story, some are going to hate it. I'm one of those people that actually really enjoys the Transformers movies, but I know a lot of people that really dislike everything they changed between G1 and and the movies. I don't think there's a right or wrong about it. It's just a matter of personal preference. Just for me, I think the new story is actually pretty interesting. im diggin the cow and the bear. I wouldn't chase them on ebay, but if I saw them in a store I would probably carry them around for a while. Edited by cassel87, 16 February 2014 - 06:08 PM. I like Anubis, because I read the comics, so I thought doing him was a no-brainer. I notice this wave uses the previous wave body sculpting, like the Bear is the same body as the Walrus, the Cobra is the same body as the Snake, the Cow has the same armor pieces as the Ram, and the repaints of the Eagle and Bat. So for the most part the new sculpting is generally at the head with some modifications to hand and leg pieces. I was actually looking forward to the new human character being released, he might be a TRU exclusive, because he retains an additional piece of the Dread Weapon Armor, so I think it's not that he is canceled, just made an exclusive maybe. Out of this wave Anubis is my favorite. The last that I had heard, this line will now be exclusive to comic shops and specialty retailers. Toys R Us will no longer be carrying it. I believe I heard that both the Cheetah and the new human were held back for series 3. As for the reuse of pieces. for most it seems that the head and torso are different, and the hands and feet/legs are reused. The bear has a completely new torso/upper body, and is reusing Gruntos' hands and feet. I am looking forward to seeing what weapons these figures will have. I am really hoping that the cow has a pitchfork, which they showed in the control art. And I hope that Anubis has some sort of cane. 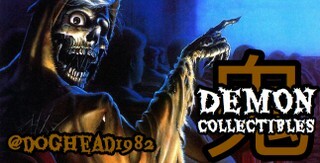 If he doesnt, I'll probably have to give him the werewolf cane from the Universal Monsters line. That would actually work really nicely. 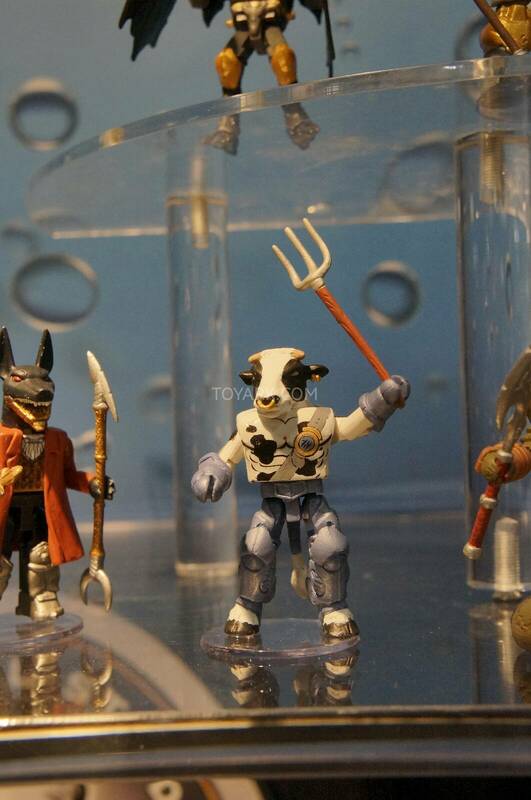 Joe Moore over at Toyark posted some photos of the series 2 BB minimates on display at Toyfair. We get some good looks at the weapons for each beast. I have to say, I love the spear and shield that Giraffe has. Between that and the neck armor, it's giving me a very African/Zulu feel. No but seriously id really like to make a army out them. a viper den. How tall are these things? I have been getting excited for series 2 of the Battle Beasts minimates, so I finished up a couple customs I have been working on over the past several months. The first one that I did is of Vorin's father. Ever since I read the ashcan comic 2 years ago after C2E2, I was fascinated by the mythology of Vorin's father when Vorin is talking about their training when he was younger. I had decided that I wanted to make a custom of Vorin's father, however at the time, I was just thinking about making a slightly older Vorin with slight modifications to the armor. Then, I read the full comic, with the reveal of Vorin's father on the last page, and I knew I had to make him. It took a little bit of time to get the all the right parts that would work, and he also needed quite a bit of sculpting to make him look less like Vorin or a kitbash, and more like Vorin's father. 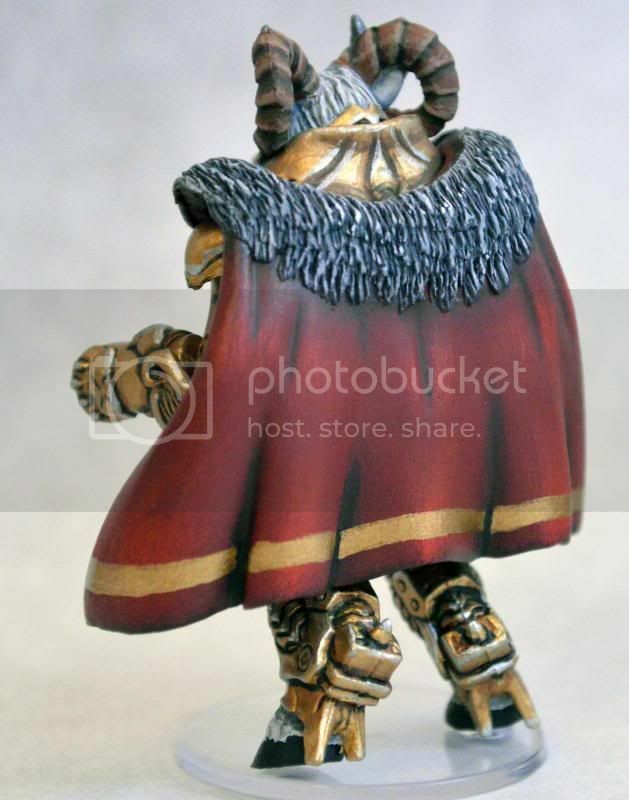 I sculpted the fur on the cape, the extra fur and hair, and armor faceplate for his head. I don't remember ever seeing a name for him. A lot of times, it helps me paint a figure if I create a name for him. Makes the character a bit more personal. So I named him Asvid. I don't know what his official name is, maybe Zach knows. 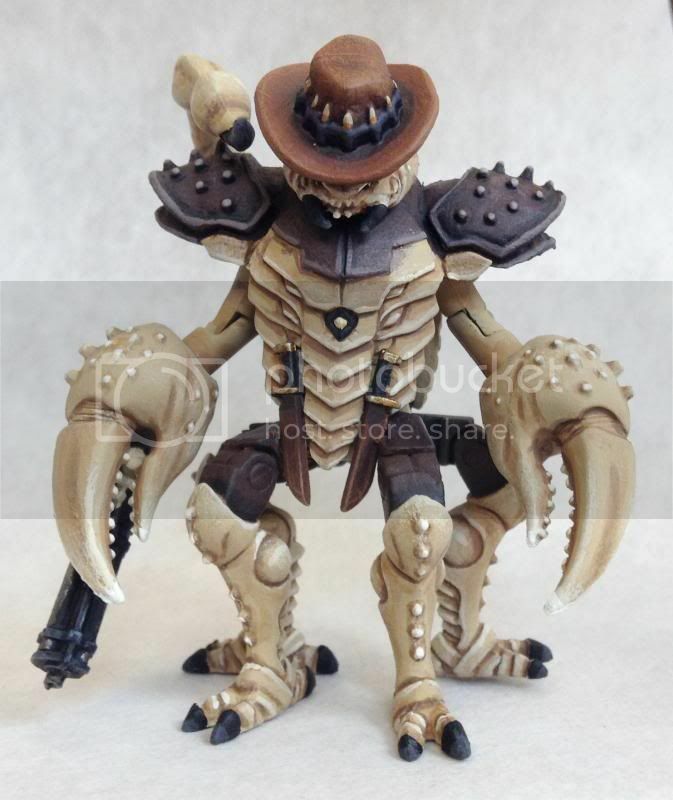 I also continued my theme of Western inspired Battle Beast customs. 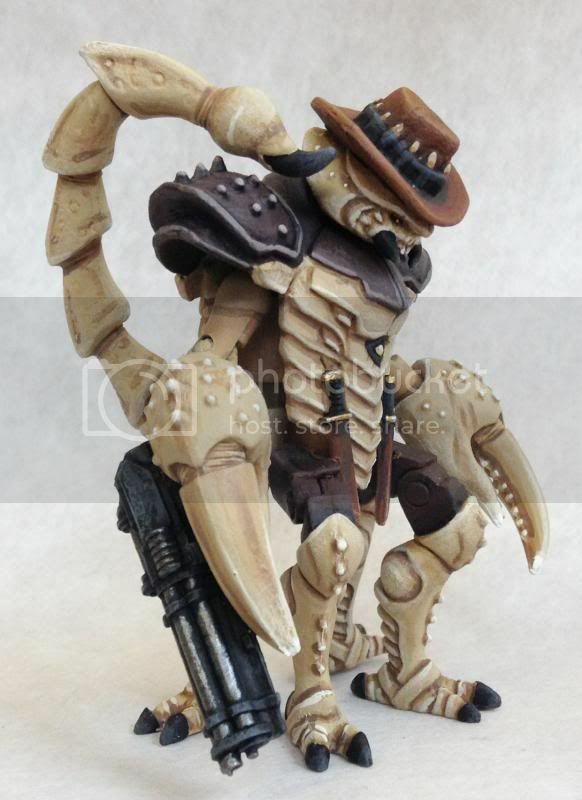 This time, I did a gun wielding western take on the Scorpion, which I have named Brocius. Anyways, here are the figures. Let me know what you think. Asvid is sweet, but oh my god that scorpion is EPIC! If you want to sell or trade for him, let me know. Any word on when these are out? I'm too tired to go through the thread again. Also any word on if they've fixed all the terrible problems? 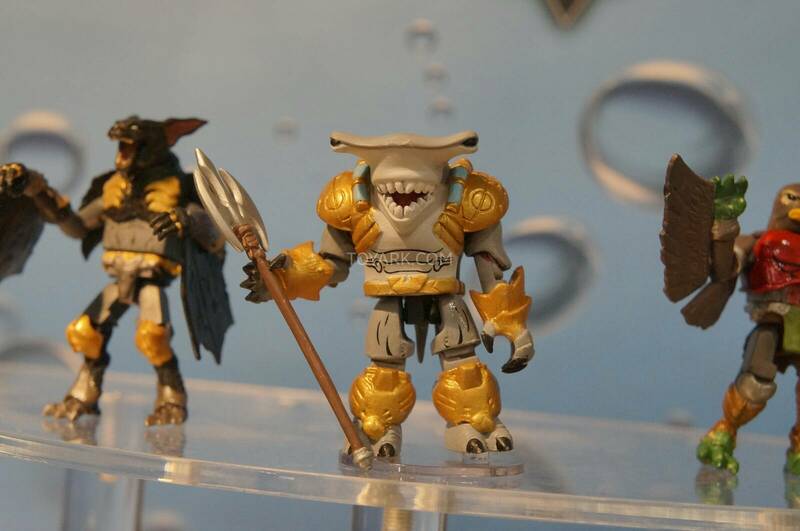 To be honest, I'm not huge on supporting DST in their endeavour for this line, but I am totally loving that shark. I love Hammerheads too much not to get that guy. They haven't said the exact release date, but have tentatively said "Summer." There are a few sites that have them up for preorder now. I haven't seen the figures in hand yet, however it seemed like most of the major problems were with series 1 in the multiple copies of the different figures that I have seemed to be centered around the spider and the scorpion. I wonder if they were a little bit too ambitious with the minimate form. All of these beasts in series 2 seem a little bit more consistent and streamlined, so I would guess that some of these issues wouldn't be present. Interests:Teenage Mutant Ninja Turtles, Masters of the Universe, Transformers, and more old toys! I haven't been to these boards in a year or two, but I remember one of the dst guys used to post here, and he was so passionate and excited about the line that I bought all of series 1 from TRU just to support him. It's a shame that the line seems to be stalling. They're not battle beasts but if you call them something else they're pretty cool. I'll check out series 2 when they drop. "THOSE WHO LAY THEIR EYES ON A GUNDAM, SHALL NOT LIVE TO TELL ABOUT IT. Those was the orders I was given." Mild, Medium, or Extra Nerdy? Preaching the depraved sermons given to us from the heavy metal gods!!! Christ that Scorpion dude is next level! Red Marauder, sadly I think these are shelved for the time being. I don't know if they will be looking into these again in the future, but it seems that pre-orders and sales of the first series just weren't enough to continue with this line. Which is a shame, cause I thought that they took a look at the problems that series 1 had and fixed a lot of those issues, made some designs that were a bit more inline with the spirit of the original Battle Beasts, but I guess it's not to be. 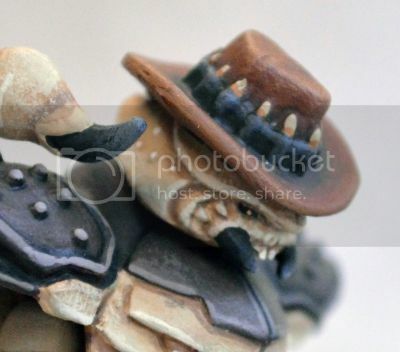 To heck with that...there's some concept sculpts floating around out there now, the pictures are proof. I will be hunting these out for myself. 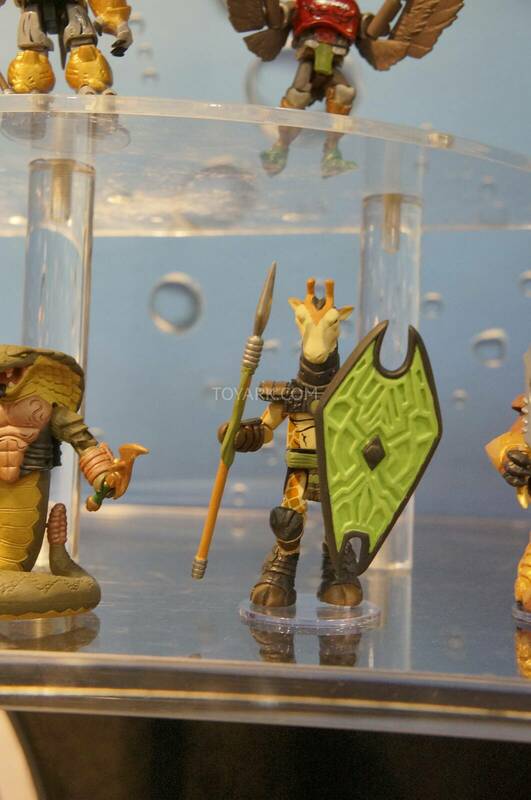 The concept sculpts that we saw for wave 2 were prototypes that are still in DST's possession last I knew, so I don't think we will actually be finding these hiding somewhere, atleast for a while. I would love to be able to pick them up myself, but it is not to be. I feel like they'd be successful if they released the original designs instead. They were more artsy, but a lot more detail. They showed a rhino, alligator, ape, iguana, and octopus. I liked the designs that put out for those concepts, except i didn't like the size of them. They were more like large statues. And for me, an important aspect of Battle Beasts are their small size. There are a lot of other lines of anthropomorphic animal warriors that are large figures, but battle beasts being 2 inches tall are a big part of the line to me. 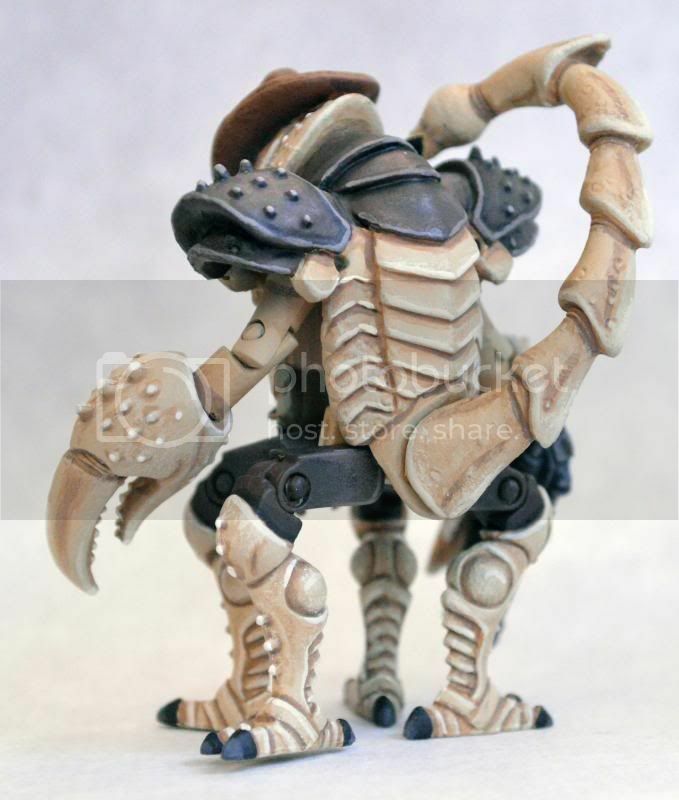 If they could take those sculpts and shrink them down to 2 inch size, I would love to see these made. Back to Beast Saga, DST Battle Beasts, etc.